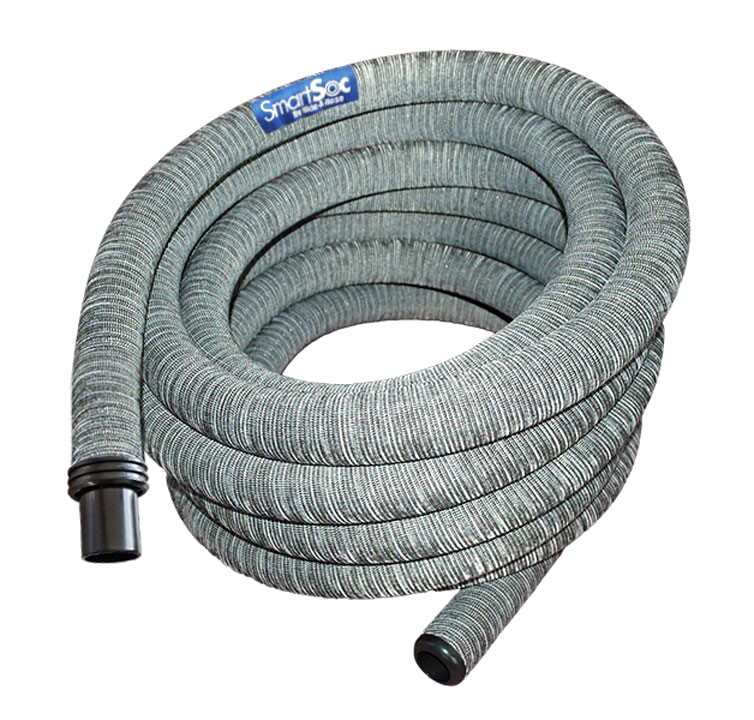 Hose kits include a pre-installed sock that protects millwork and furniture. Our new hose kits feature the mini-cuff, which allows tools to fit directly onto the hose cuff for easier use. Hose lengths can be customized to fit the home-owner’s needs. Refer to How to Customize Hose Length. (link to How to Customize Hose Length doc) A hose kit can be washed without removing the sock. Remove the entire hose kit from the valve and wash the hose w/sock in a bathtub using a small amount of dish or laundry soap. Rinse thoroughly and hang to dry before retracting back into the valve.